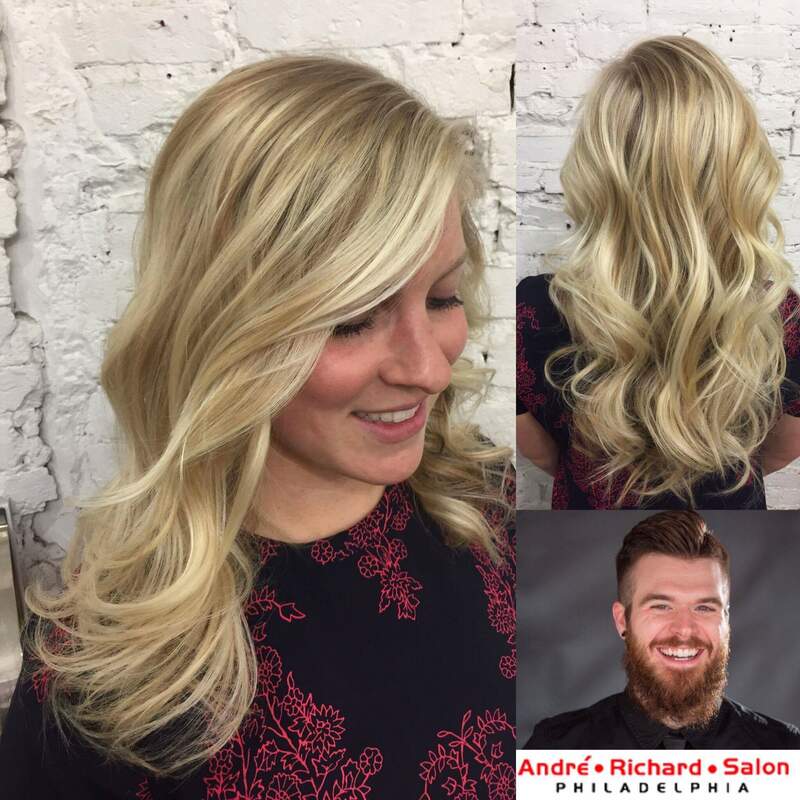 Blonde hair ranges from pale blonde to "dirty" blonde. 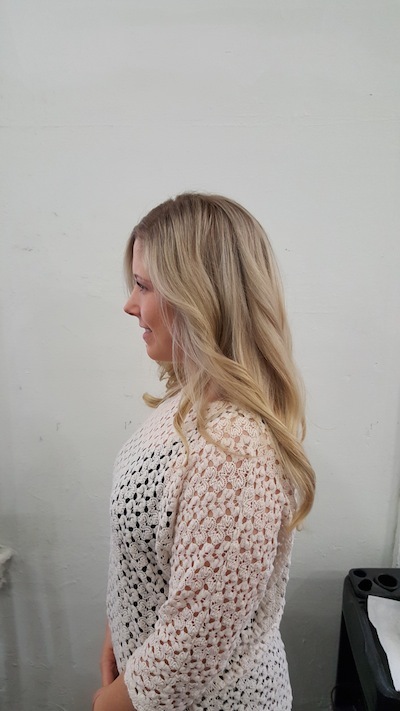 Warm to cool. 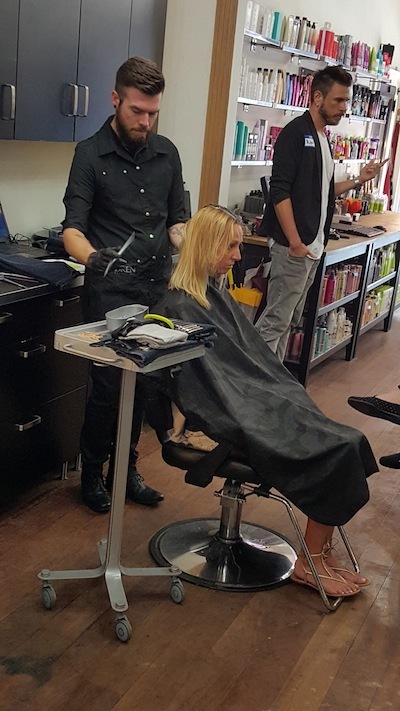 We understand the variety and offer professional hair coloring systems to get you exactly where you want to be. 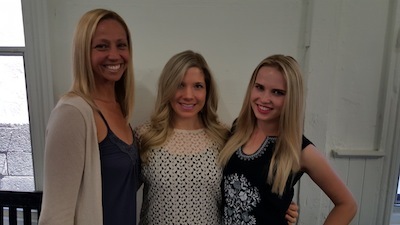 Being blonde hair specialists is not a term we use lightly. 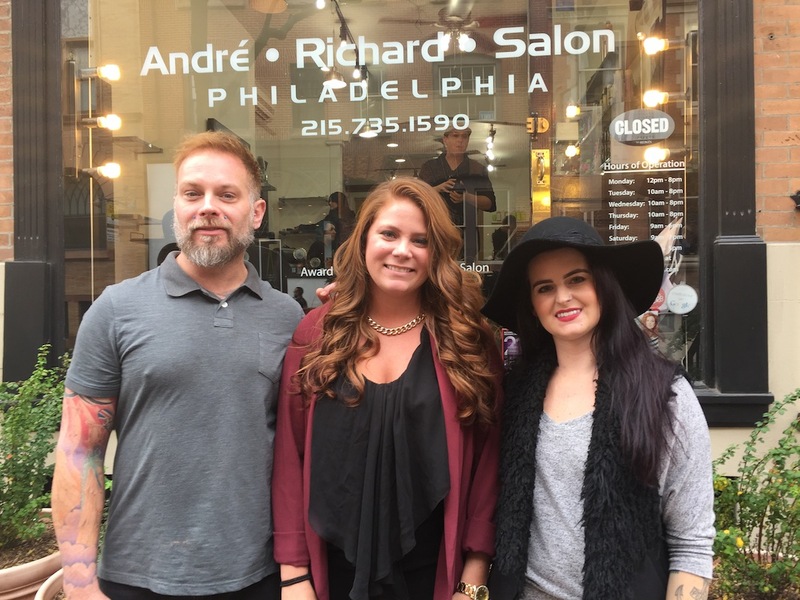 April Deal: 20% Off Of Your Entire Visit Every Friday In April! 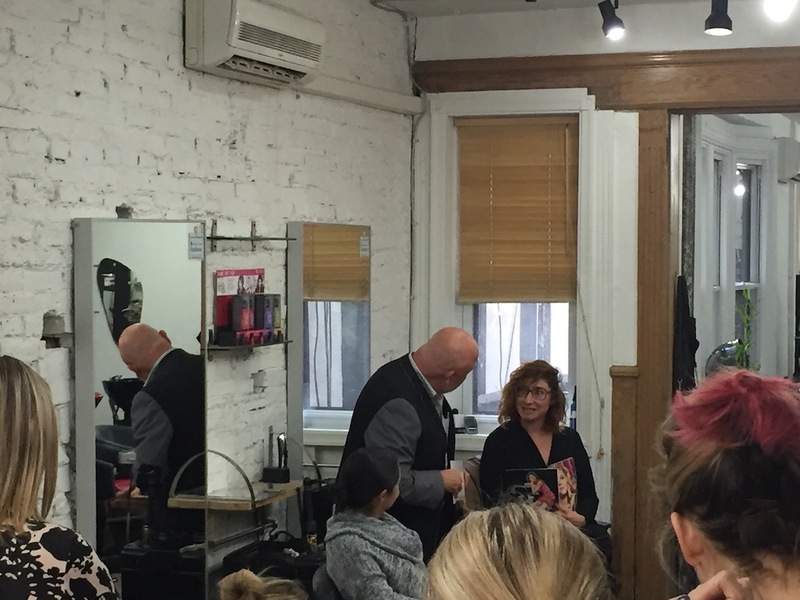 may be redeemed for products and services! 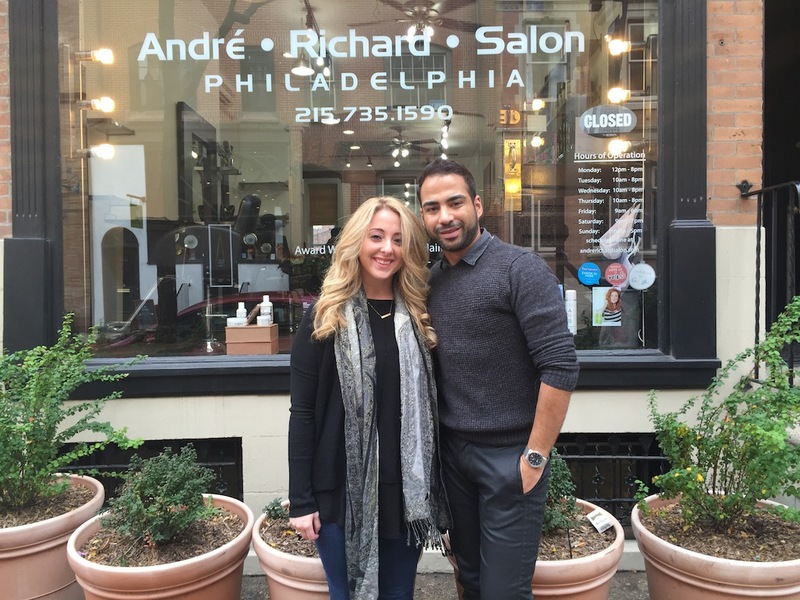 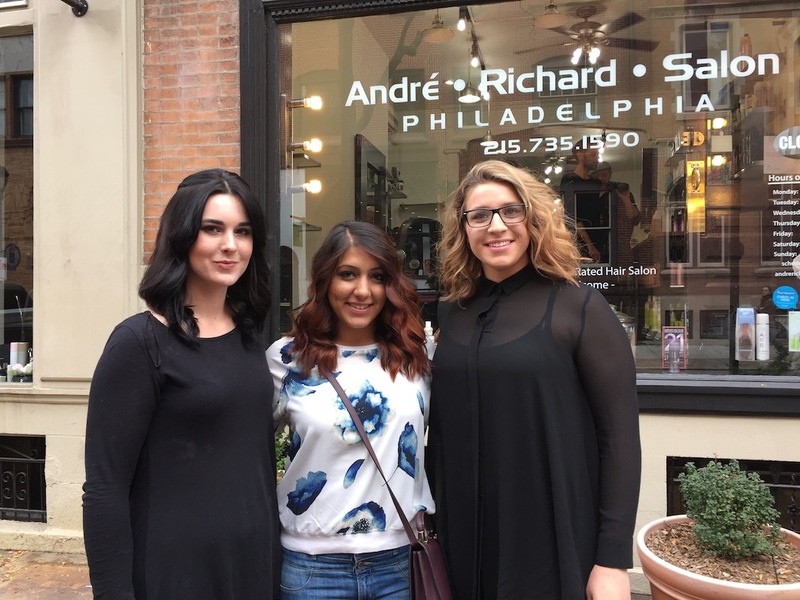 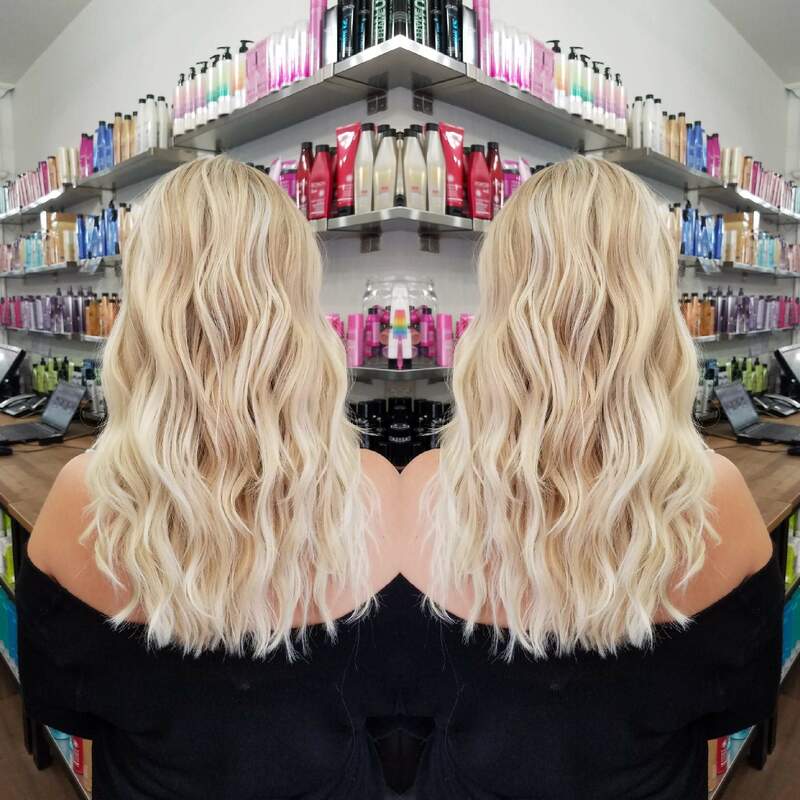 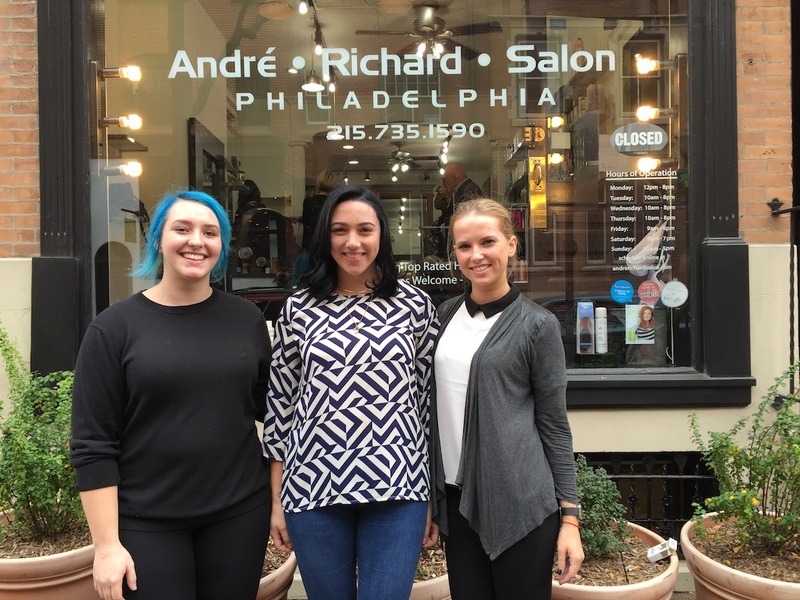 Take A Look At Our Philadelphia Blonde Hair Round Up! 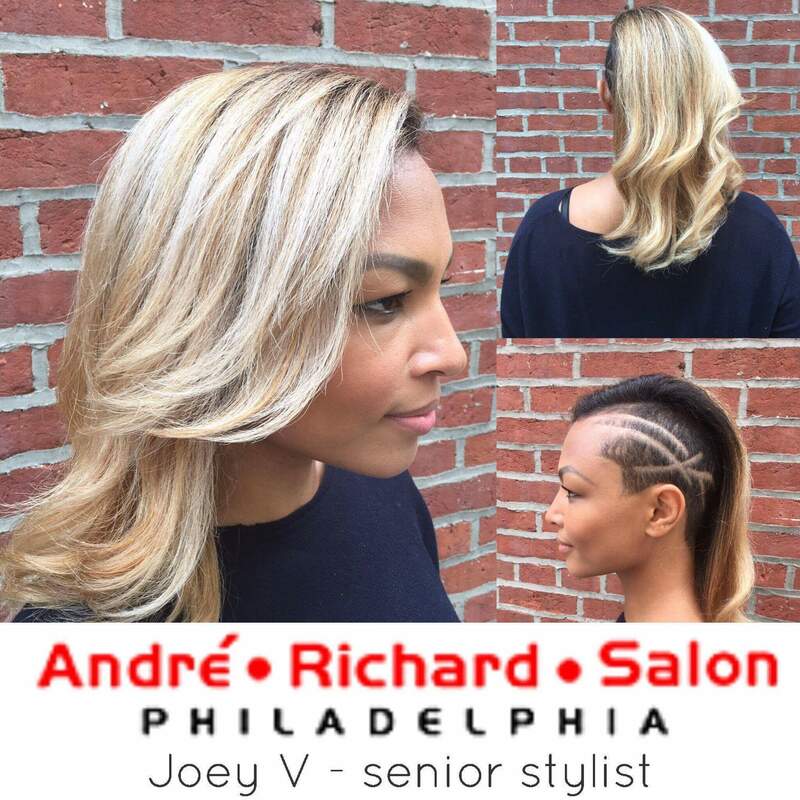 Joey V-Senior Stylist rocked a subtle balayage. 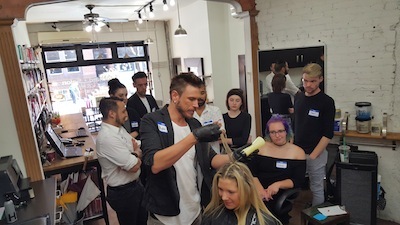 Hair color corrections are not for the stylist who is the faint of heart. 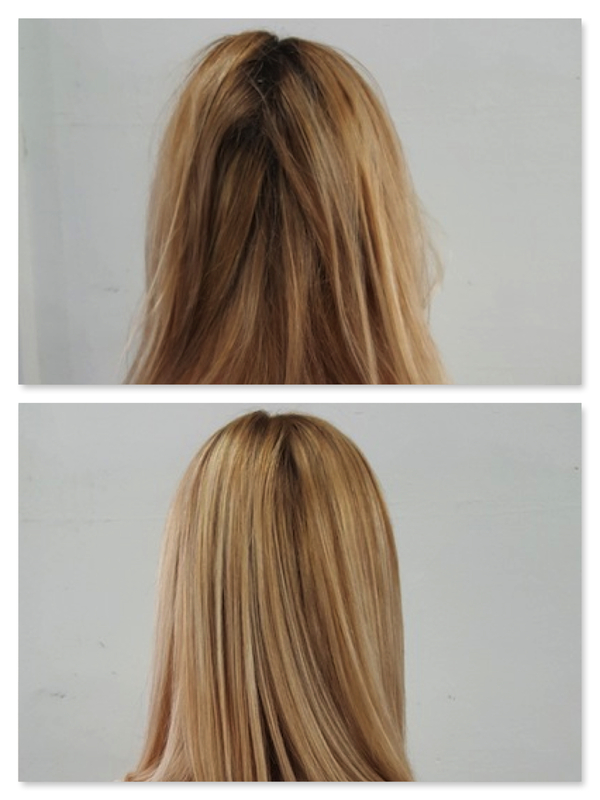 Same goes for the person who needs the hair color correction. 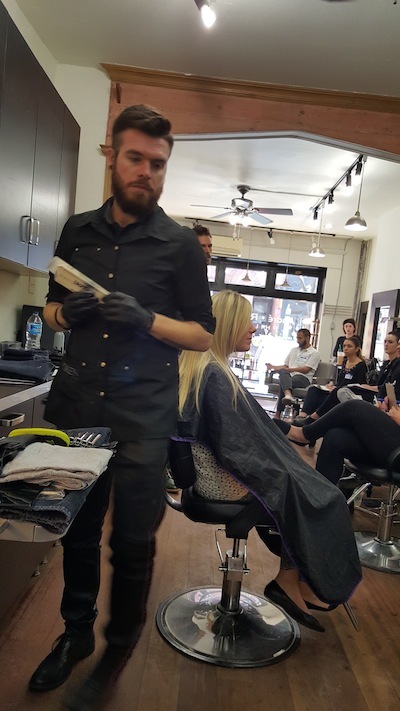 They take lots of time and can not be rushed. 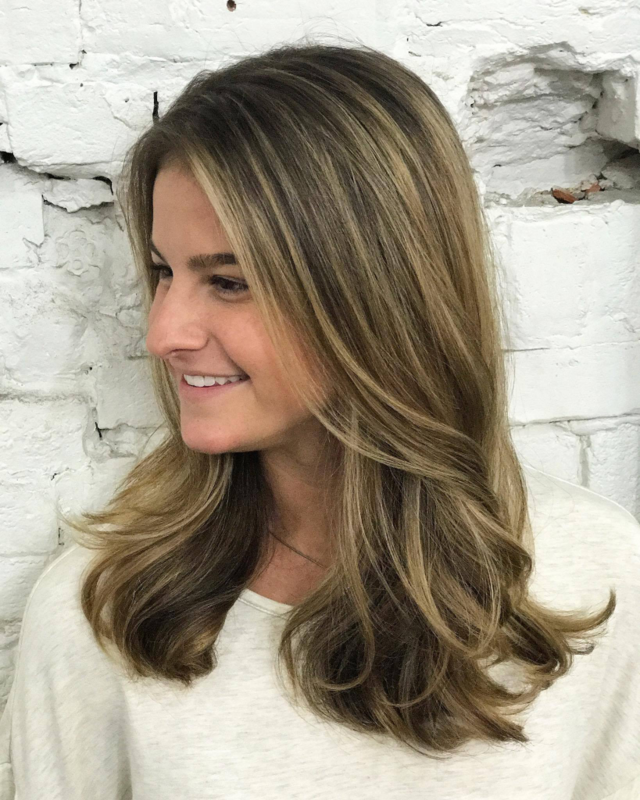 After all a correction is not a basic hair color service, they are carefully calculated and sometimes the desired result is not achieved in one visit. 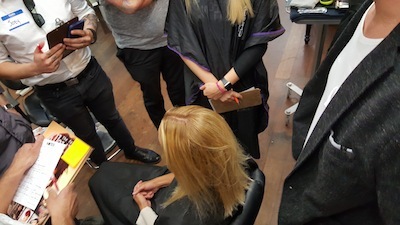 Sometimes a correction can take one process and sometimes they take several processes. 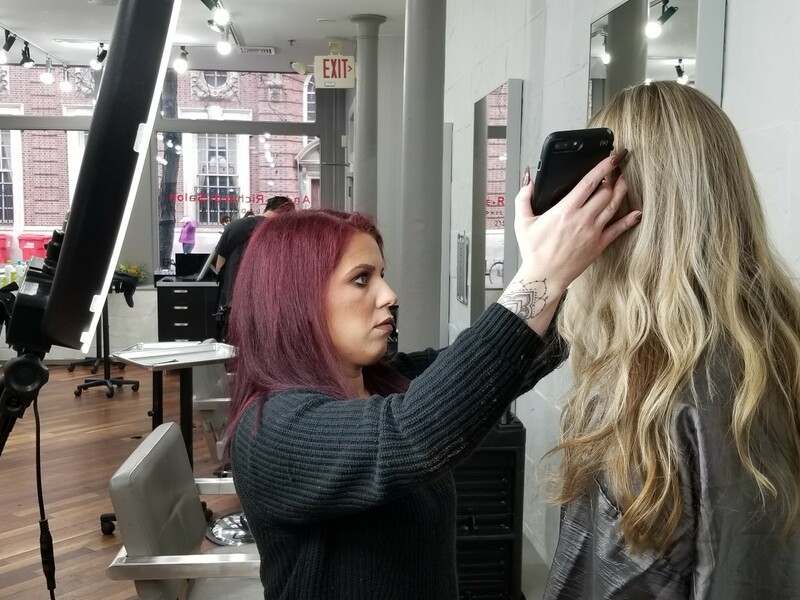 Hair color corrections should always have a detailed consultation.  Usually they are charged by the number of processes that it takes to obtain the desired result. 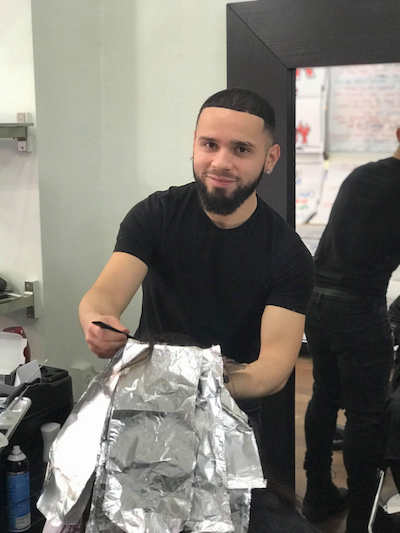 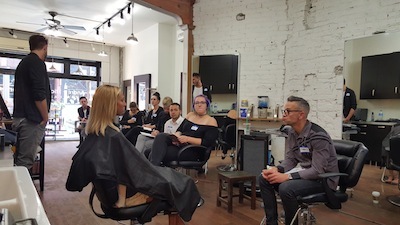 The client should be prepared to disclose all the previous processing so the stylist can be fully equipped with the proper knowledge to perform the service successfully. 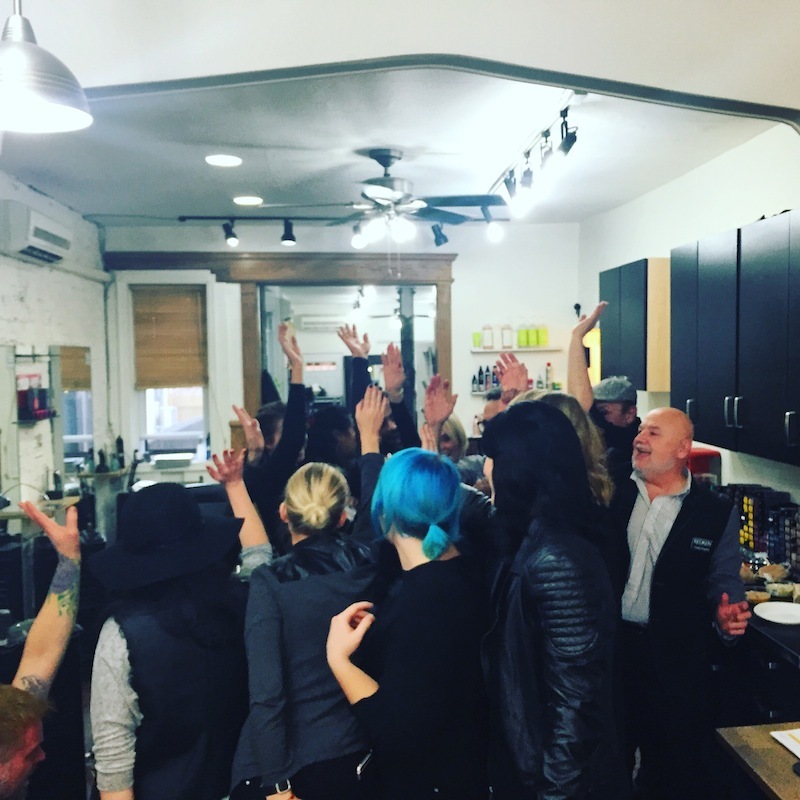 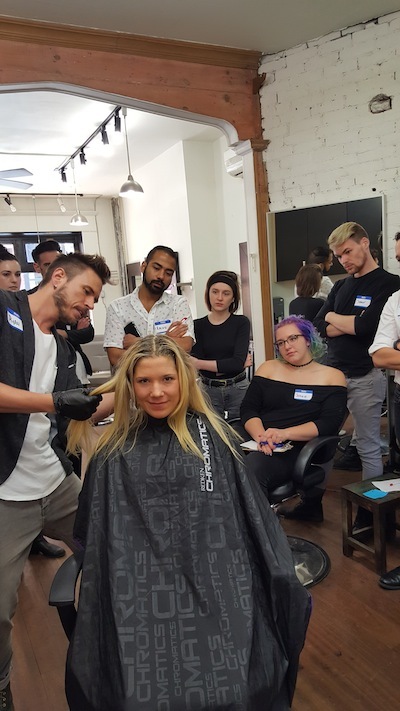 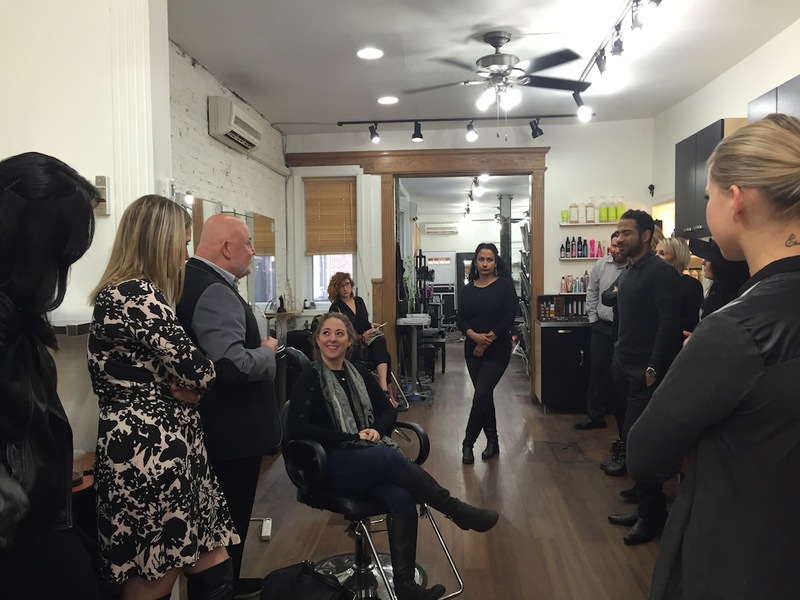 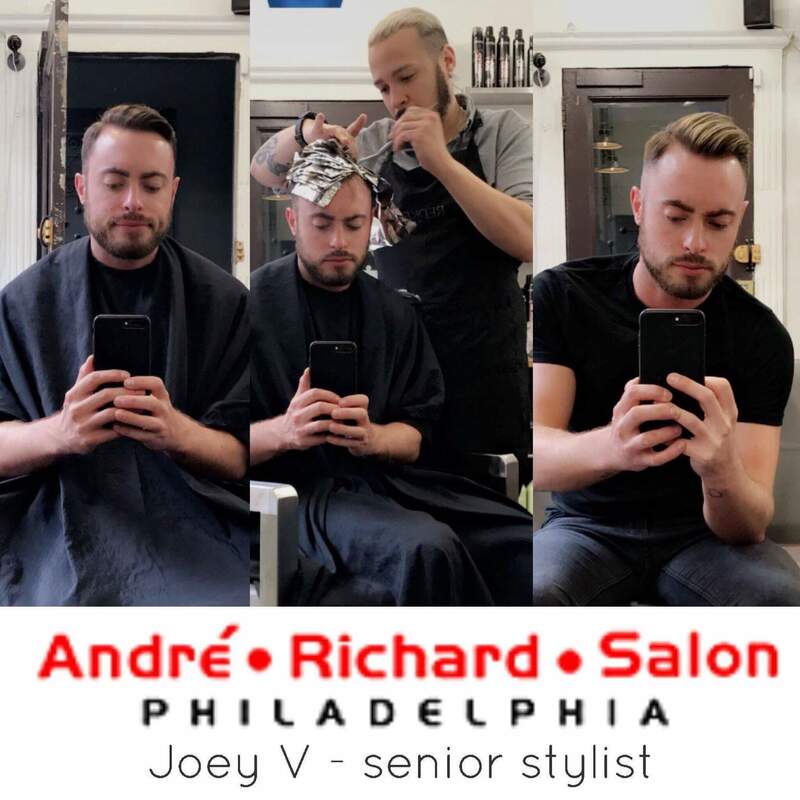 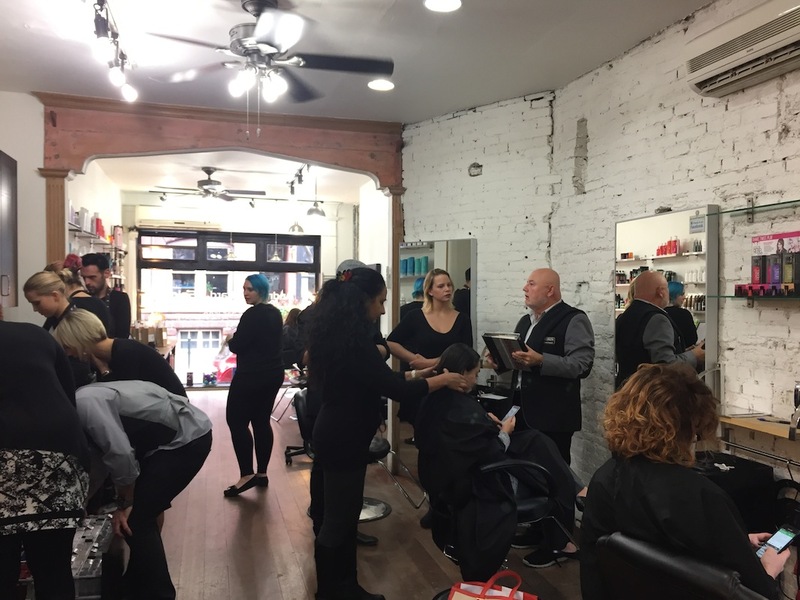 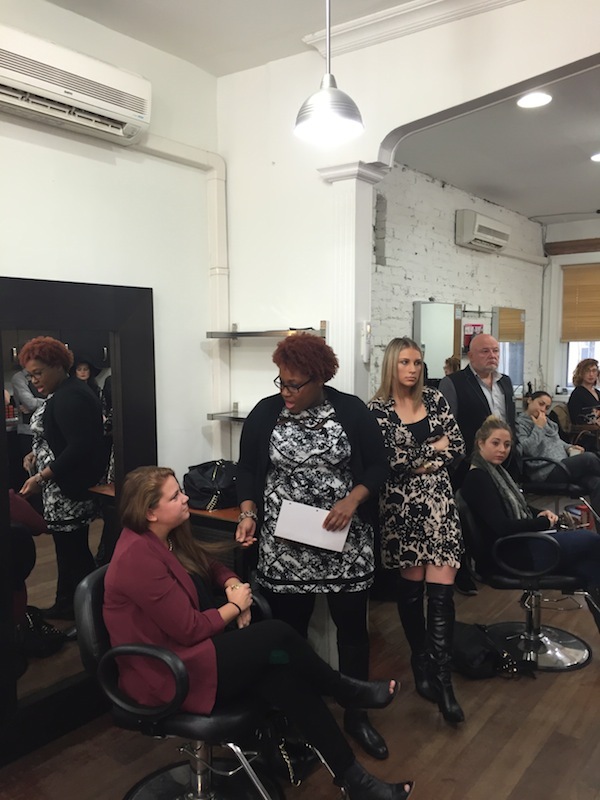 A requirement to be a hair stylist at André Richard Salon is to participate in all education workshops held at the salon. 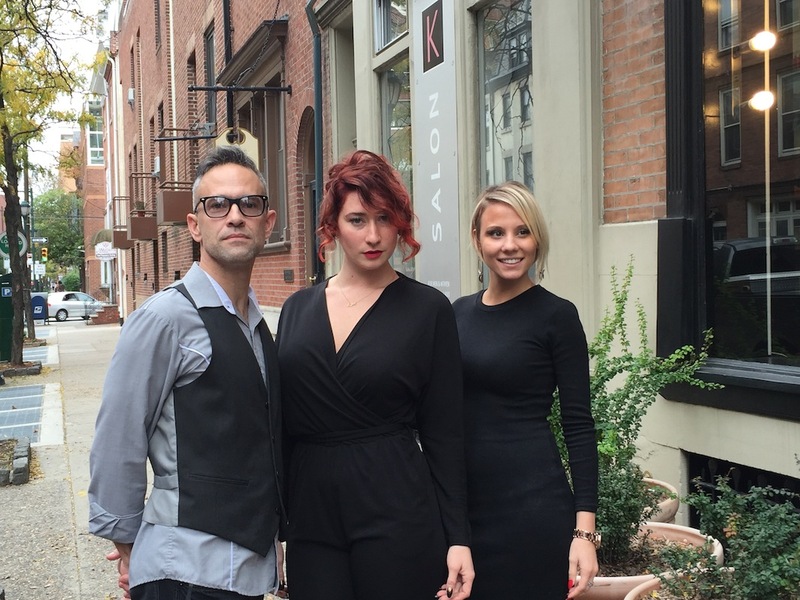 We pride ourselves in being voted best salon for hair color and will stand by our work 100%. 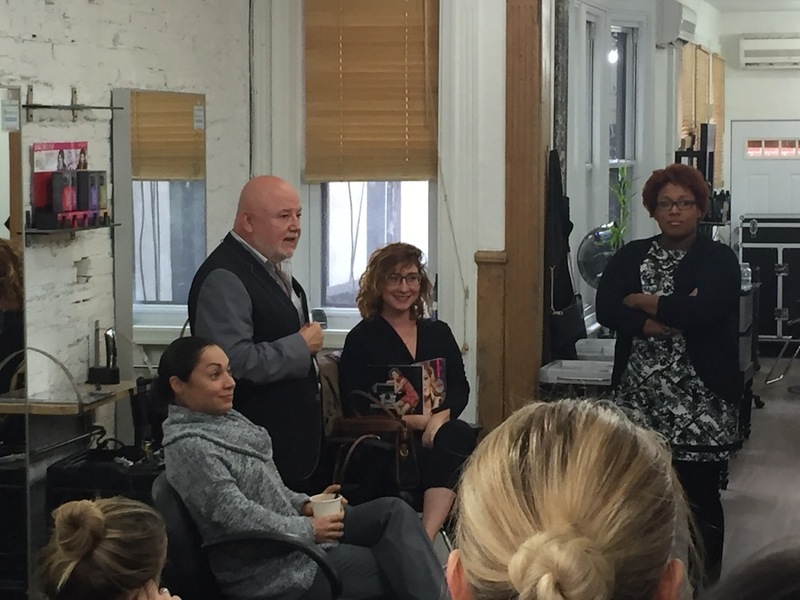 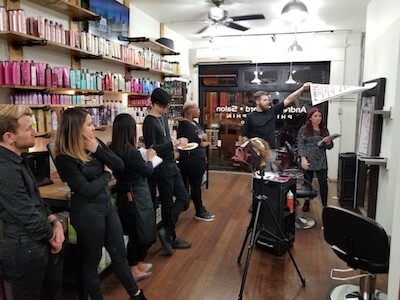 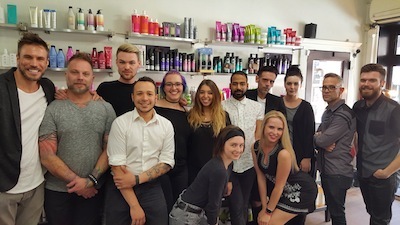 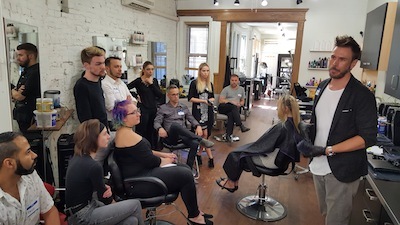 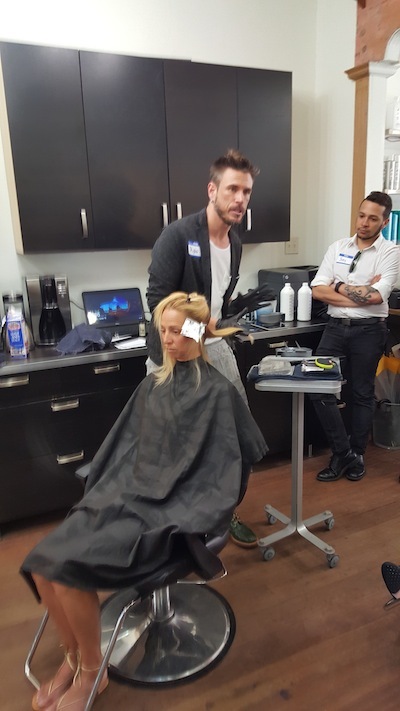 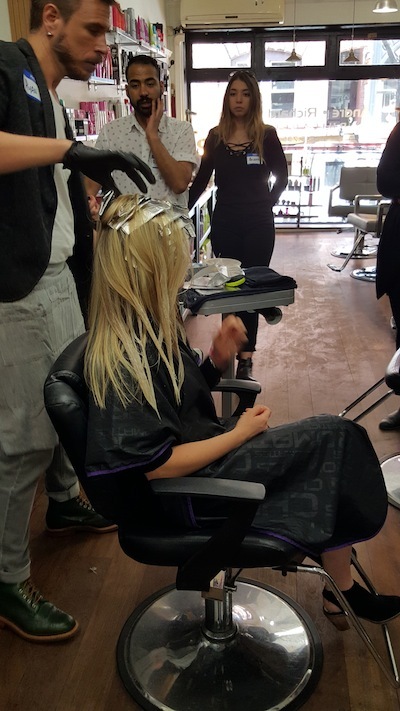 This week we had Redken Educators Ryan Morgan and Ryan Rodgers in the salon to cover advanced blonding services in the Redken lightner family. 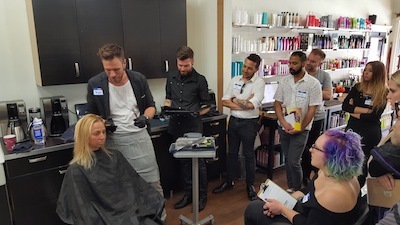 We discussed highlift blonding cream, base breaking, timing and lifting capacity of their powder lightners, how to use the blue oil lightening systems (no more orange! 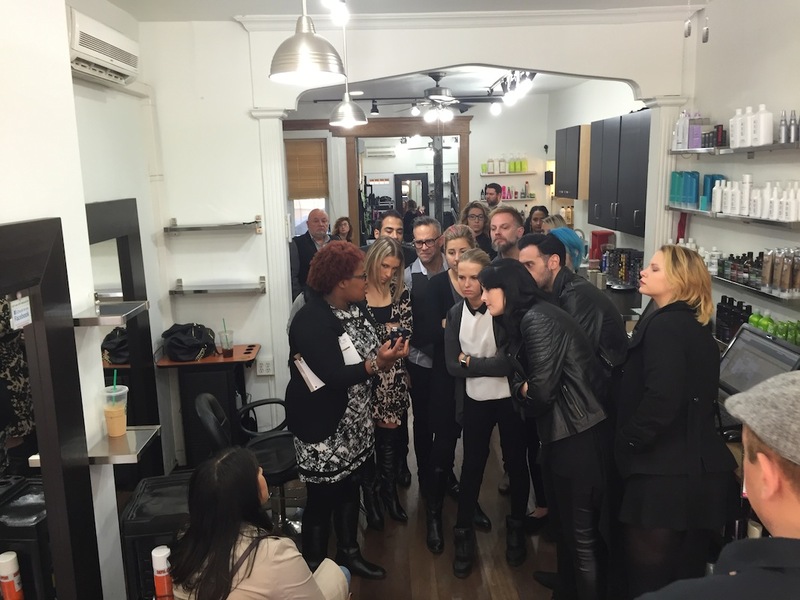 ), and most importantly how to choose what product to reach the ultimate blonde goal. 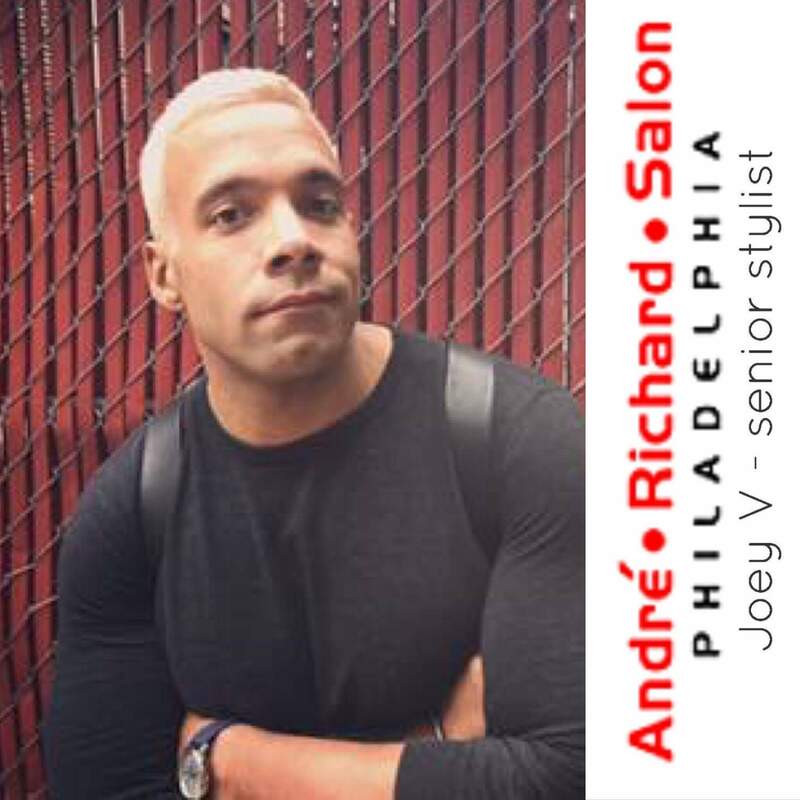 We are still ahead of the blonde game in Philly. 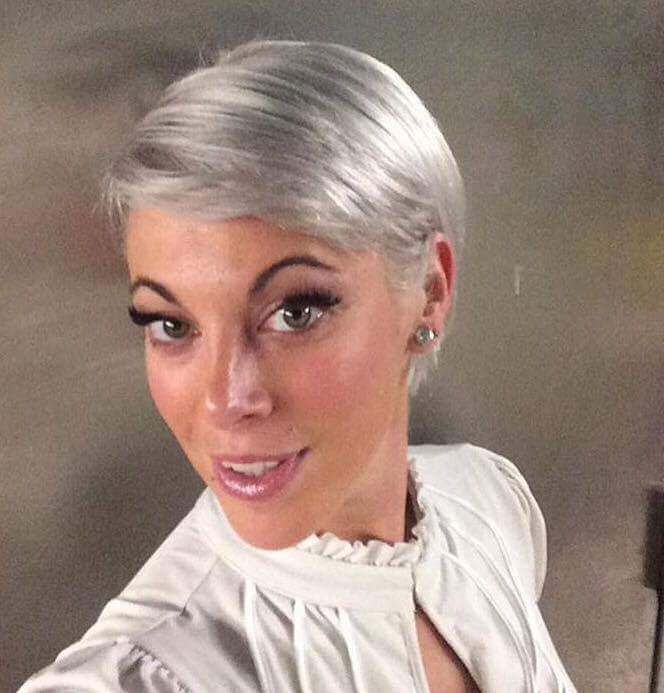 Wanna play?